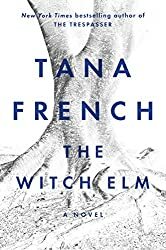 Tana French is an Irish novelist and theatrical actress. Her debut novel In the Woods (2007), a psychological mystery, won the Edgar, Anthony, Macavity, and Barry awards for best first novel. She is a liaison of the Purple Heart Theatre Company and also works in film and voiceover. French was born in the U.S. to Elena Hvostoff-Lombardi and David French. Her father was an economist working in resource management for the developing world, and the family lived in numerous countries around the globe, including Ireland, Italy, the US, and Malawi. French attended Trinity College, Dublin, where she was trained in acting. She ultimately settled in Ireland. Since 1990 she has lived in Dublin, which she considers home, although she also retains citizenship in the U.S. and Italy. French is married and has a daughter with her husband.